This cheese is hand-made by us in small batches once a week. It's a fresh, semi-soft, pasteurised cheese made with vegetable rennet to make it suitable for vegetarians. 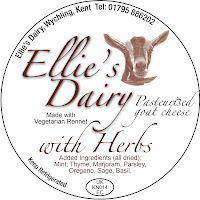 It's a superb addition to your cheeseboard and is also fantastic for cooking, or crumbling into salads. 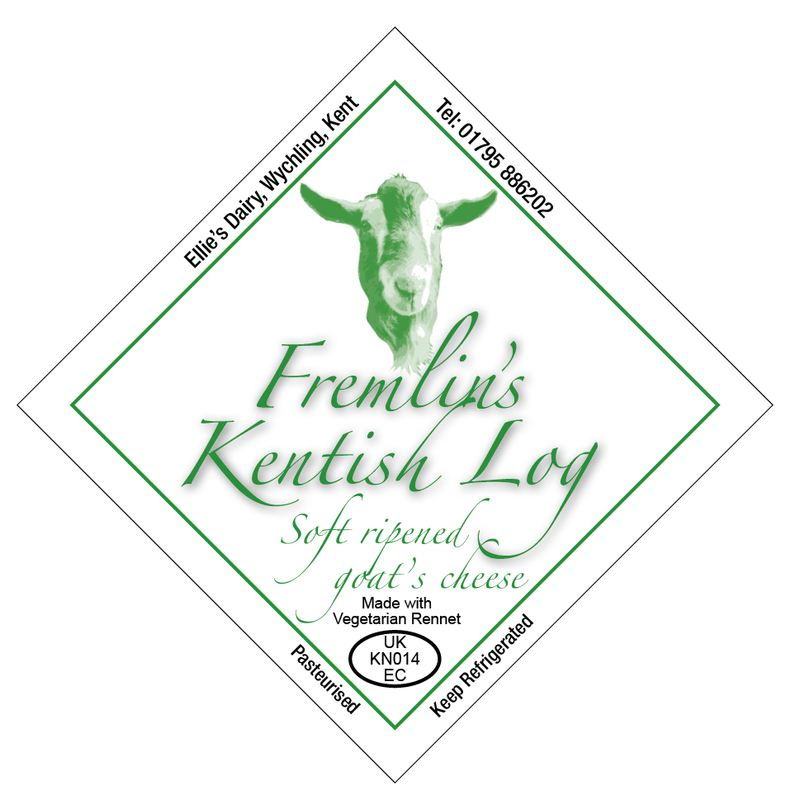 Unlike the pungent goat cheeses you've tasted in the past, this one has a clean fresh taste when eaten young. We vacuum pack it to retain its freshness - but we do know that some of our customers buy it to store while it matures to their taste. It's crafted by size, not weight, and, because the seasons and the weather have a great influence on the ratio of fat to protein in the milk, each batch varies in weight and fat content. Goat cheese, at between 22% and 25%, is naturally lower in fat than many other types of cheese. Because the cheese is hand-made in a dairy, not machine-made in a factory, even the lightness of the cheesemaker's touch as she fills the moulds reflects in the texture. Our small cheeses turn out at 100-150g and the large ones 350-450g. 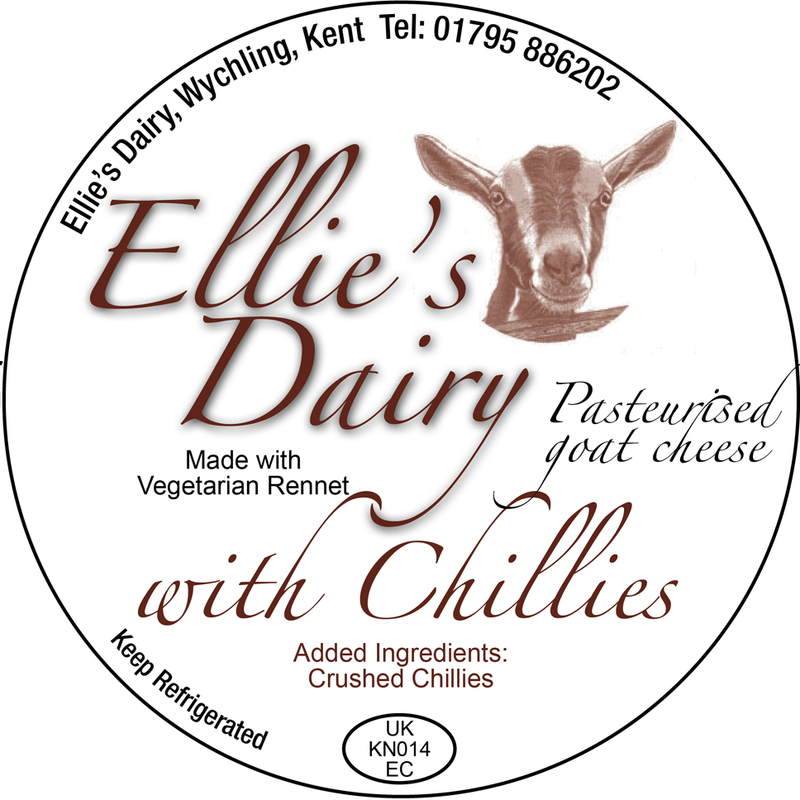 The cheese is available natural, rolled in chilli & garlic or rolled in herbs & mint. This is our Camembert-style ripened cheese. Creamy and mild when young it ripens to a more mature flavour with age. It is pasteurised, and suitable for vegetarians. It can be enjoyed as it is, or baked, or deep fried to produce a delicious melting cheese. 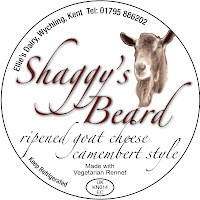 It was named after our dear Shaggy who was the first kid born in our herd and for several years was 'head boy' and chief stud male. We were heartbroken when he died suddenly in June 2009 but his memory lives on in the many daughters that he left behind in our herd. His son, Norville, who was born 3 days after Shaggy died, has taken his father's place. This is our latest invention, and is made in the style of a ripened goat log but with a distinctive 'bloomer'; shape. It's a smooth luscious ripened cheese with a sharp citrus tang. Perfect for summer salads, it's also delicious grilled over beetroot or roasted vegetables. 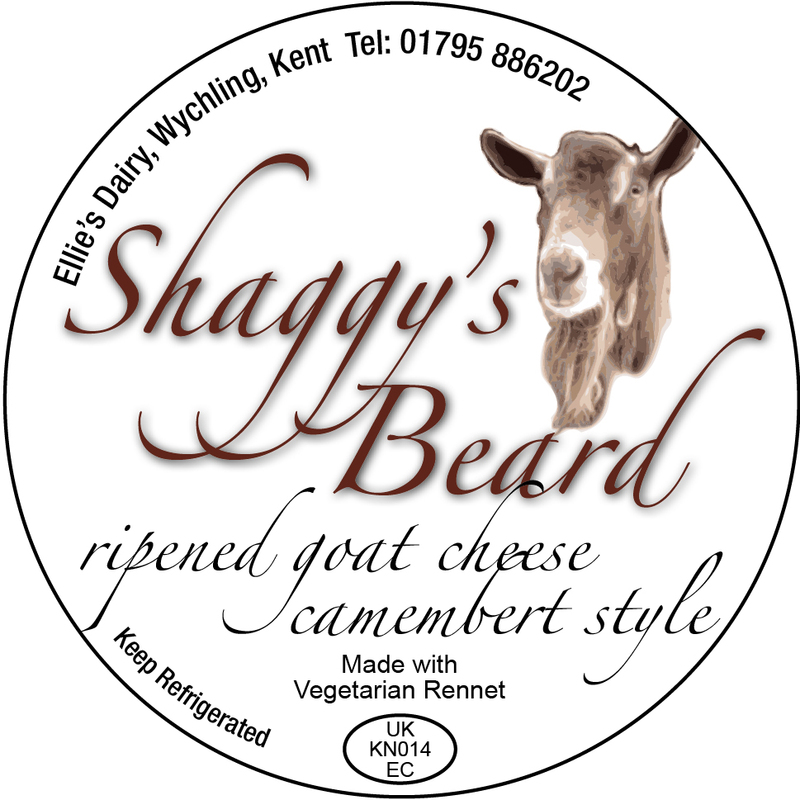 The cheese takes its name from the herd's chief male goat, Fremlin, who was Ellie's son. 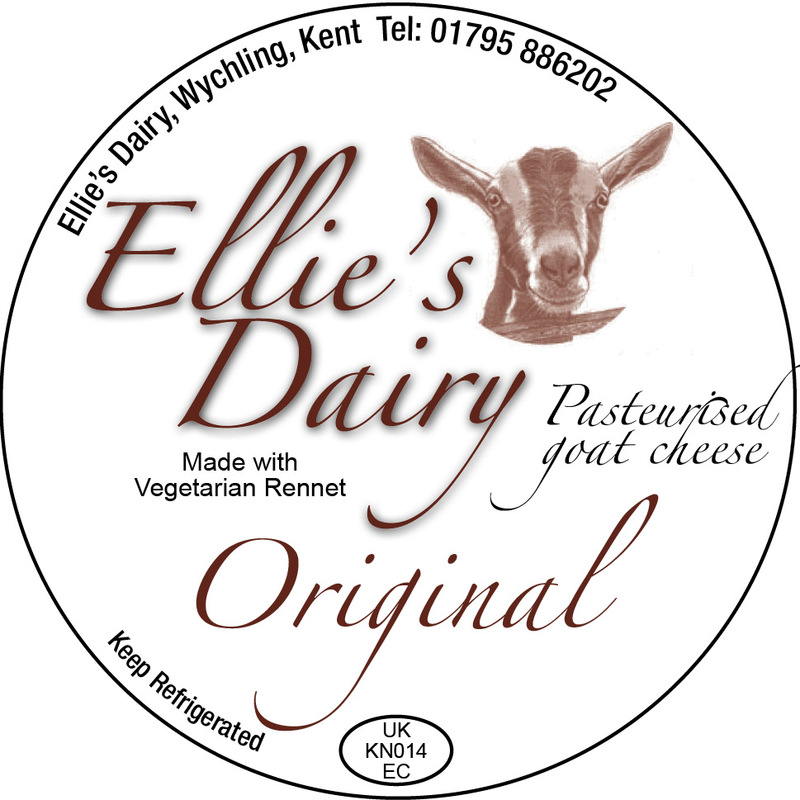 Our milk goes into this matured, unpasteurised, natural-rinded Cheddar-style cheese made by Cheesemakers of Canterbury at their dairy in Dargate, a village between Faversham and Whitstable. It's been described as full of flavour, smooth and creamy. Hard to put down once you've started it. 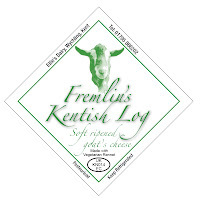 This cheese won Gold at the British Cheese Awards 2008.